In September, Elia held the third edition of ND Focus- Elia’s focus on Project Management. 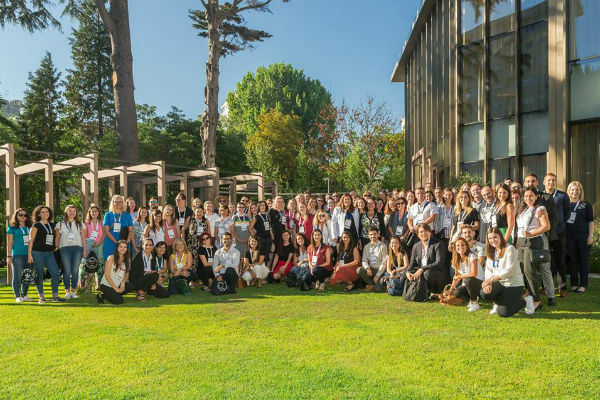 Held in Porto, Portugal, the event brought together PMs in the language industry for a two-day event combining presentations from expert speakers, with thought-provoking workshops encouraging discussion and best practice sharing. This year’s tracks focused on three topics: assertiveness, attracting and dealing with different clients and agile localisation. The results from the survey are now in, and we are really pleased to see the event was so positively received and that the majority of respondents felt that their expectations were exceeded or met. Overall, 98% were very satisfied or satisfied with the general organisation of the event. The mix of presentations and workshops was also a success and attendees were very positive about the workshops in particular and felt it gave them an opportunity for discussion and to interact more directly on specific topics. The Elia team takes time and care choosing the topics and speakers for our events, with the aim to provide relevant and enjoyable sessions. Feedback from attendees shows they were impressed by the level of knowledge of our speakers in Porto, and in particular our keynote speaker, Tucker Johnson, was very well received. Attendees found him to particularly engaging. Networking is a key part of Elia events, and we are pleased to see that attendees’ expectations were met, with 96% being very satisfied or satisfied with the networking opportunities in Porto. 87% found that the two-day format assisted with providing real skills to their work and attendees felt their expectations of building connections with peers & share experiences of everyday work, were met. 90% of attendees would like to attend The Future on Technology, proving once again the importance of technology in our industry and the need for continuous education and training in this area which we will endeavor to help you with. The overall Net Promoter Score (NPS) of the event was 68, which is a great reflection of the efforts of the Elia team. We would like to say a big thank you to those of you who took the time to share your feedback as it provides us valuable insight as we plan for next year’s edition. Next year’s edition will be held in Hamburg, so watch this space for further updates and announcements.